A-nochd tha Teàrlach Barden a' toirt breab do Rapal còmhla ri Victoria Kilgour. Tearlach Barden gives Rapal a kick with Victoria Kilgour. A-nochd tha Teàrlach Barden a' toirt breab do Rapal còmhla ri Victoria Kilgour. Tha Teàrlach air an t-siathamh bliadhna aig Àrd Sgoil MhicNeacail. As dèidh dha an sgoil fhàgail tha dùil aige l a dhol gu oilthigh Obar Dheathain airson bith-eòlas a dhèanamh. Cuideachd tha ùidh aige ann an ceòl agus ann an spòrs. Ceòl, craic is cabadaich gu lèòr eadar an dithis! 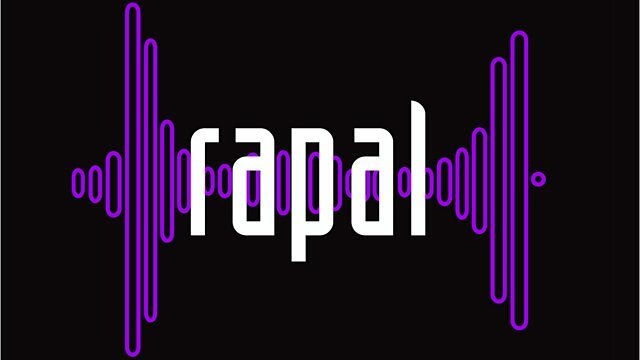 bbc.co.uk/rapal. 604 / School Boy / Interscope. The World from the Side of the Moon.